Custom black and white text badge. Our custom slogan/text badges are ideal for events, weddings and clubs. If you need badges that say a specific Slogan or Name then either search for our Custom Name Badges, of which we have quite a few designs in the shop - all different colours and font options. 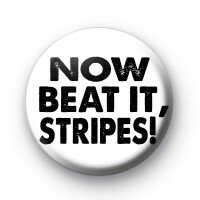 Otherwise get in touch & drop us an email and we will designs you a unique badge to suit exactly what you're looking for. All our badges are 25mm in size and proudly made in the UK. Custom Badge for Emma 3CUTE AND CUDDLY, EVERYONE.